I always thought that you could use any bottle of wine for cooking, even an old leftover half drunk bottle from last weeks dinner party. But I found that the 1st and most important rule was: Only use wines in your cooking that you would drink. Never cook with a wine that you COULDN’T drink if it was the only thing in the house and you really needed to get your drunk on because your spouse just left you and didn’t take the cat with them. Wine is a great ingredient in marinades. 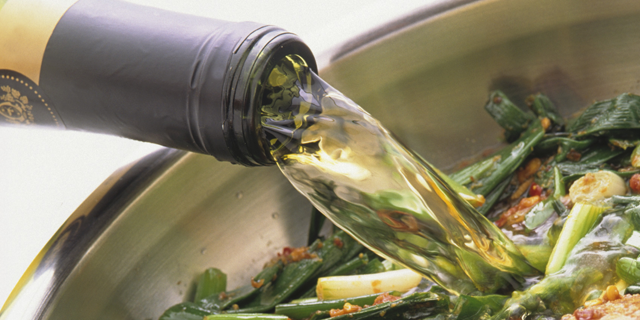 Wine can help cook and simmer foods. Wine can add flavor to a finished dish. For dry whites go for a Chardonnay. For dry reds, go for a Cabernet Sauvignon, Merlot, or Pinot Noir. For sweet whites, look for a Riesling, Semillon, or Muscat and for even sweeter look for labels that read late-harvest. 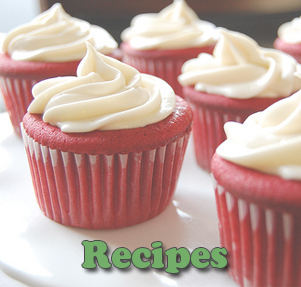 For sweet reds, try Lambrusco (a fizzy sweet Italian wine) or Port also would work well in dessert recipes. 3. Don’t buy “cooking wine” in the grocery store. You can find cooking wine in the grocery store in the vinegar aisle. Cooking wine can legally be sold in a grocery store because they contain little or no alcohol. They also contain salt and other additives that can add chemical nuances to your dish. All chefs say “no way” to using this in their recipes. A light-flavored wine goes best with delicately flavored foods. A bold-tasting wine might do well in a boldly flavored dish. Light-colored meats like chicken and fish, are paired with light-colored wines (white). Dark-colored meats, like beef, are paired with dark-colored wines (red). A dish heavy on the spices usually needs a full-bodied wine to stand up to it. A dish with a light or creamy sauce calls for a drier, light wine. 6. That last secret to cooking with wine: Drink a little while you’re cooking and have fun!